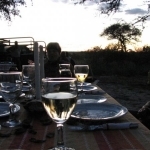 Leroo La Tau Camp is perched upon a cliff 15m above the parched riverbed of the Boteti River. 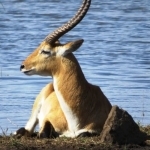 The dry season brings with it an amazing view in the wildlife that converges around the waterhole in front of the lodge. 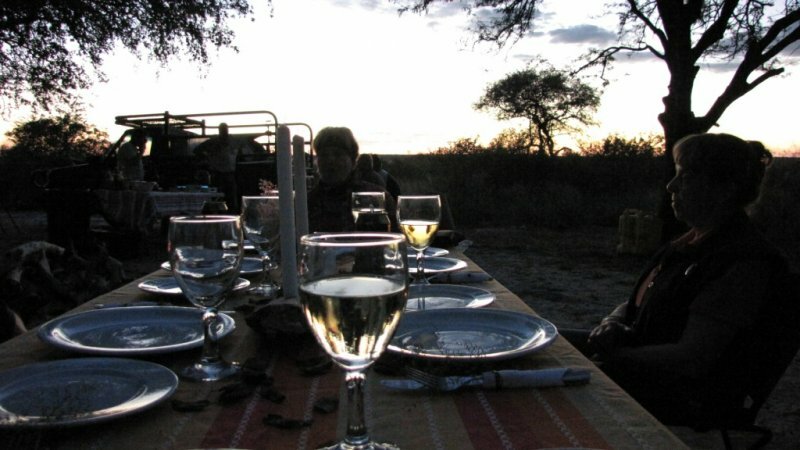 The camp reception and lounge are situated right on top of the cliffs, and are your best chance at seeing the animals rush for a drink. 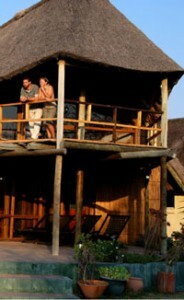 The predominant lounge and dining room area are tastefully emphasized by the thatch and wooden finishes. They set the perfect mood for guests to put their feet up and enjoy a quiet moment or two. 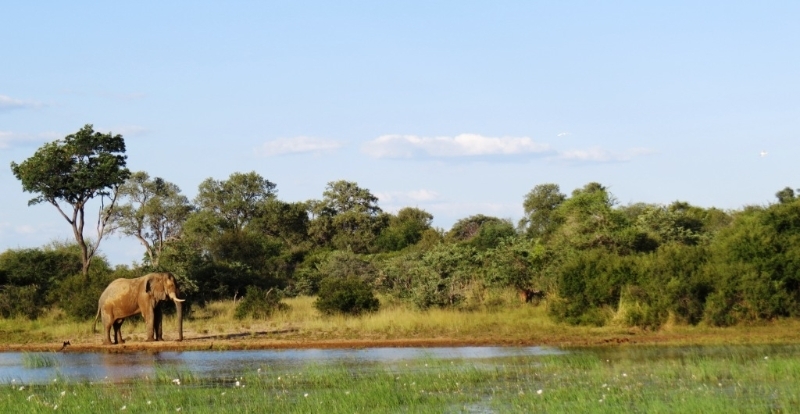 The pool is also an unreal place to watch zebra and wildebeest saunter around the grounds. 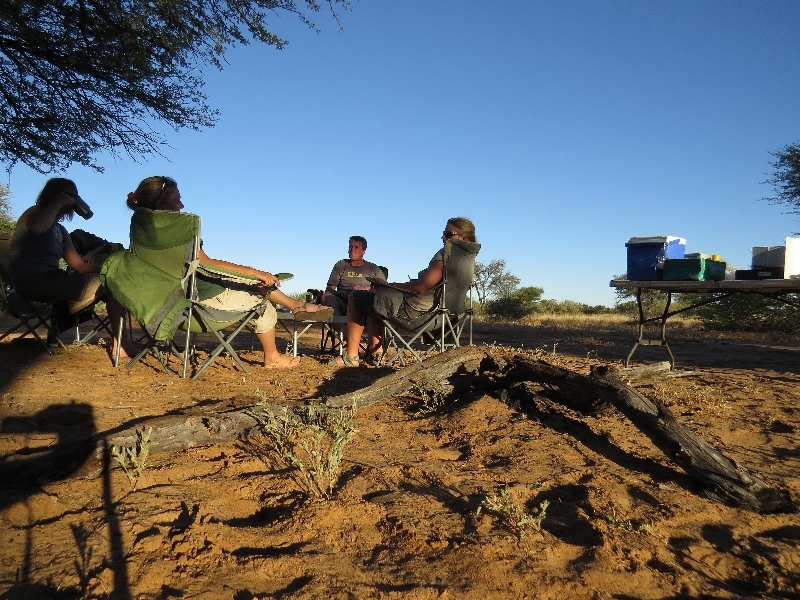 In the evenings, the fireplace is the ideal solution to keeping warm without losing sight of the riverbed and waterhole. Leroo La Tau isn’t a one hit wonder. 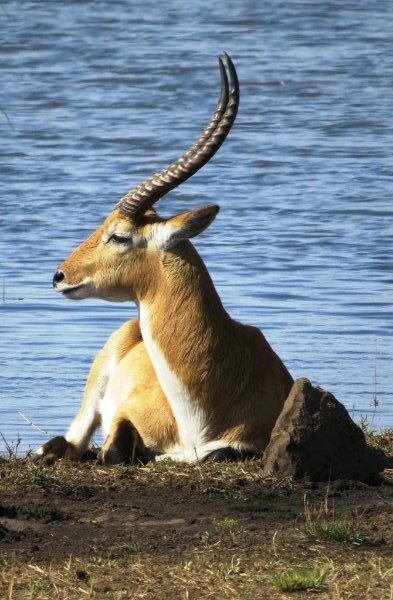 The camp also gives you the chance to see Chobe bushbuck, leopard, impala, kudu, jackal, porcupine and genet, amongst other animals. You may also come across the rare white rhinoceros. The distinctive and resilient crocodiles and hippos are the stars of the show, however, as they have come a long way over the past 12 years. The tremendous divergence of seasons and terrain is responsible for Makgadikgadi being a matchless sanctuary for animals of all shapes and sizes. 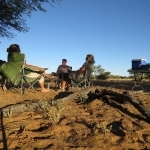 Leroo La Tau proffers a myriad of activities for their guests, including day trips to Nxai Pans and Baines’ Baobabs, and day and night drives. Generator power (AC 220V) is accessible throughout the day and evening. The tented accommodation is set up with a 220-volt AC plug for hairdryers, and guests are able to re-charge their video batteries. Torches are provided for guest usage during the night, after the generator has been switched off. Leroo La Tau accommodates 14 guests in 7 East African style Meru tents, each with en-suite bathroom, on individual raised wooden platforms.